A trip to the casino is never a bad idea. You gather up some friends, hit the road, and get ready for hours of excitement centered around the hopes of wining big. But when is the best time to go? Well, that depends on what you’re looking for. Are you looking for a quiet time when you can concentrate and learn to play a new table game? Are you hoping for a party atmosphere? Or are you hoping to score big on the slot machines? Before you decide when to go, ask yourself why you’re going. Then take a look below at some of the best times to visit and play at a casino. Blackjack is one of the most popular casino games, not only because it is fun and relatively easy to learn, but also because it gives the player some of the best odds of winning. Beginning Blackjack players may want to visit the casino in the early afternoon when tables are less crowded and minimum bets are at their lowest. At this time you can learn to play the game without stressing over upsetting more knowledgeable players who are betting big bucks. In the early afternoon you are also more likely to find a table that has only a two-deck shoe which helps increase your odds even further and makes it easier to keep track of which cards have been dealt. If you are more an advanced blackjack player looking for more action at the table or hoping to be challenged by a six-deck shoe, you’ll want to hit the tables at night when the casino is more crowded. If you want to easily score a seat at the table, it’s a good idea to show up at the casino in the early evening. Rumors abound as to when is the best time to play the slot machines, including erroneous theories that slots are looser at night so more people can see players hit the jackpot. The truth is, slots payout based on the amount they are played, so machines that have been played a lot recently are most likely to be winners. 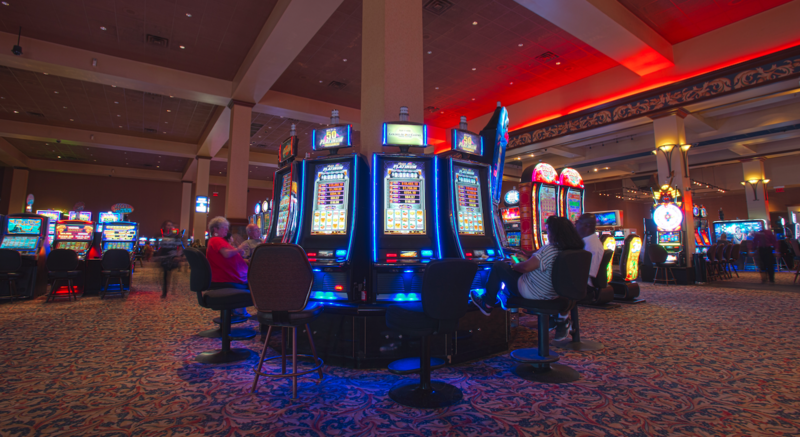 Patient slot players may want to hang out at the casino when it’s busy so they can take their time to observe which machines get played for a considerable amount of time without paying out – then hopping on them to catch the win. Similarly, showing up in the early morning hours on a Sunday or Monday may be a good time to hit up the slot machines, as they may have been played a lot the previous night. Of course, one of the biggest factors in deciding when to visit a casino is the atmosphere you hope to enjoy. If you are looking to casually play a few hands or learn a new game, the afternoon and off-hours are for you. However, if you are looking for a lively, party atmosphere, you’ll want head to the casino on a weekend night. Games like Craps and Roulette are more enjoyable with large groups of people where everyone stands the chance to win on the next roll or spin, so these games are best played when the casino is packed. Take a look at your favorite casino’s schedule to see when they are having specials or happy hours. Often, during the week or at traditionally slower times, casinos will offer specials to players who stay at a table or machine for an hour or so. At these times, guests are not only able to win some big bucks during play but can also take advantages of amazing specials offered by the casino to loyal patrons. When’s the best time to visit the casino? Whenever you want! Next time you plan on heading out to Golden Acorn Casino, talk with your friends and assess what you really want to get out of the trip to determine when you should visit. Then again, sometimes it’s a good idea to just hop in the car and make a spur of the moment trip to the casino to see what Lady Luck has in store for you at that moment! For more information, give us a call at (619) 938-6000.